Decorating cupcakes for holidays is an activity that my children love. 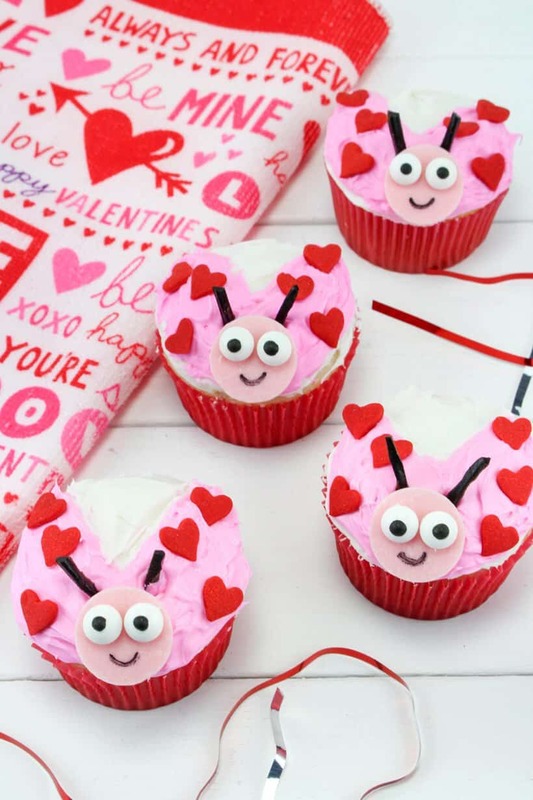 This year we are excited about making these adorable Love Bug Cupcakes for our annual Valentine’s Day Lunch Party. Lady bugs and Valentine’s Day are the perfect pair, aren’t they? In fact, I think we will plan our party completely around this adorable Love Bug theme! 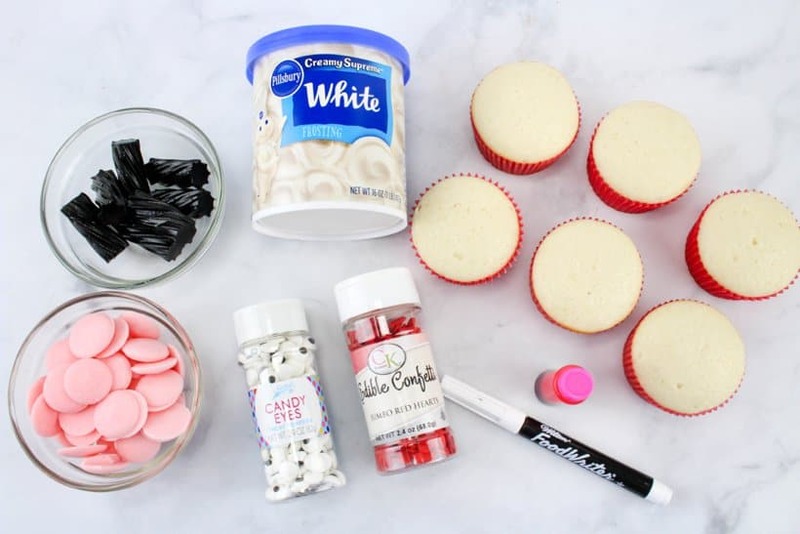 There are so many decor and craft possibilities that will compliment these cute cupcakes. 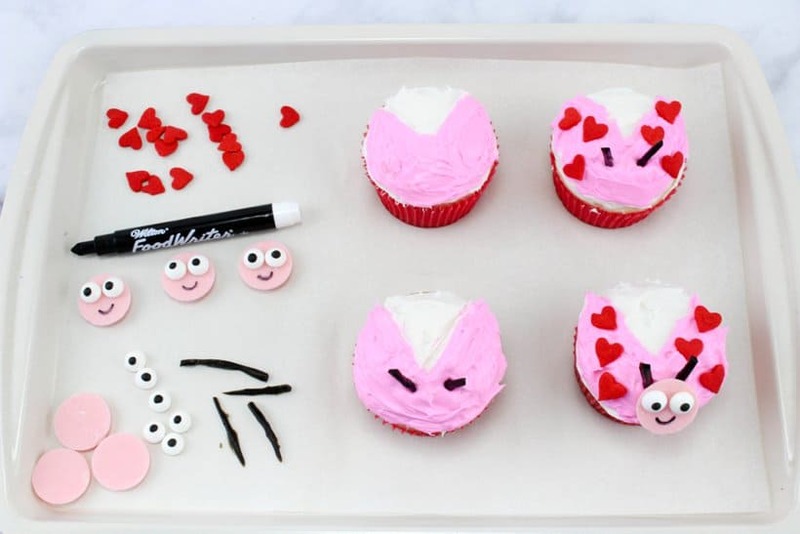 Using heart shaped sprinkles is the perfect way to make these adorable Lady Bug Cupcakes perfect for Valentine’s day! My favorite part of getting ready for our annual Valentine’s Day Lunch, is that the children do the majority of the planning and prep by themselves. 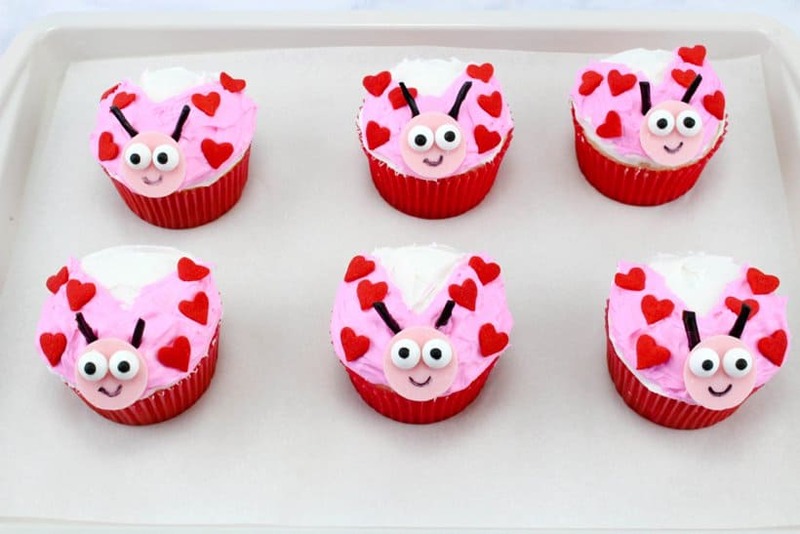 These Love Bug Cupcakes are so easy, even my youngest children will be able to make them with very little help. Scoop out about ½ of the frosting and place in a bowl. Add 1-2 drops of the pink food coloring and mix well. Frost the cupcakes with the remaining white frosting. 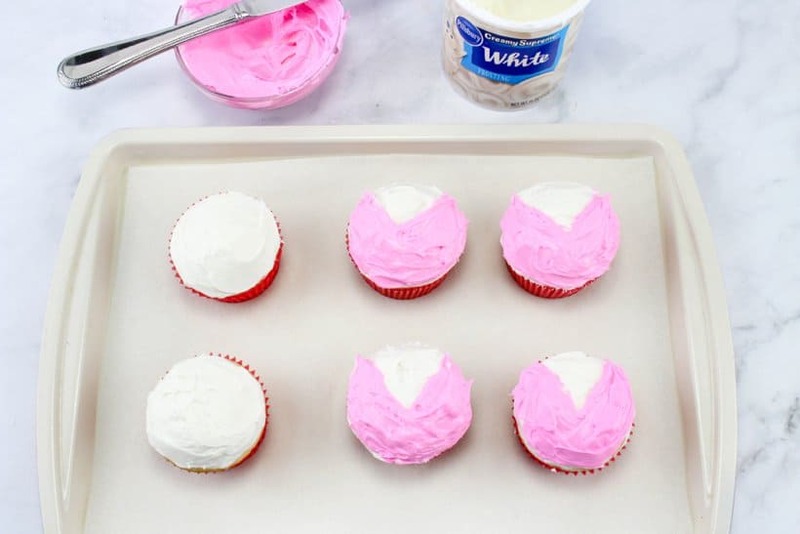 Then with the pink frosting, frost about ¾ of the cupcake leaving a little “V”wedge in the back. The pink will represent wings. Cut little slivers of black licorice to represent the antennas. You will need 12. Place a dab of frosting on the back of the candy eyes and place on the pink candy melts. Draw a smile with your edible marker. 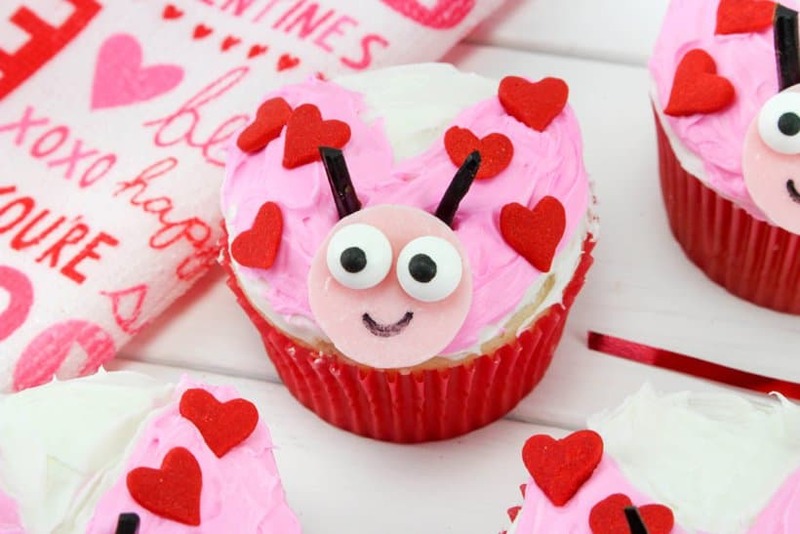 In the front of the cupcake, place a love bug head and 2 antennas. Then, place 3 confetti hearts on each side of the wings. 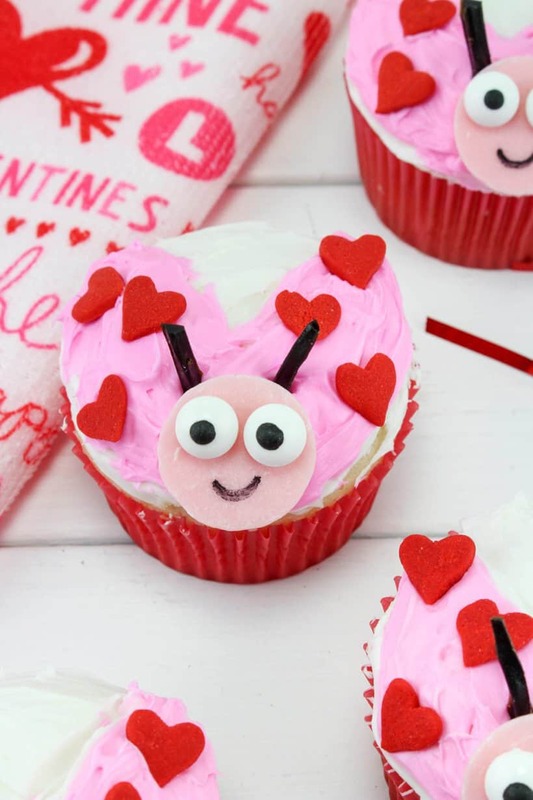 You now have a cute little love bug cupcake! Enjoy!! 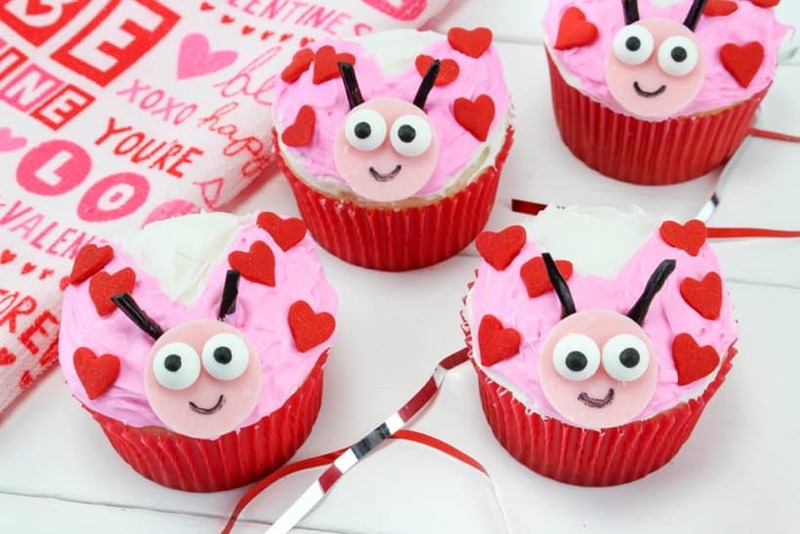 Aren’t these adorable Lady Bug “Love Bug” Cupcakes the perfect addition to Valentine’s Day?